In an attempt to boost tourism and promote economic growth by easing visa access for top SA source markets, the Departments of Tourism and Home Affairs also aim to curb permit fraud with plans to implement new e-visas. The roll-out of e-visas is expected to commence in Q4 this year, according to the Department of Home Affairs (DHA). This is sure to make travel to South Africa much simpler and less complicated once it is up and running. 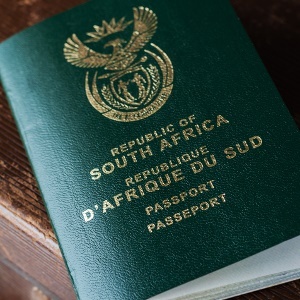 As South Africa awaits the implementation of the e-visas pilots, the DHA is looking to make it easier for travellers to enter SA if they have already been vetted through rigorous visa process abroad. It intends to allow travellers with an active US, UK, Schengen, Canadian or Australian visa to be able to enter SA with a visa-on-arrival approval process. SA’s Minister of Tourism Derek Hanekom confirmed the DHA is still finalising this and that moving in the direction of online visas is however first prize. However, at least with this a significant amount of people who already have those visas would be able to come to South Africa, easily. “Other key issues placed on the agenda for official discussion during the preliminary meeting with the Gigaba included scrapping the unabridged birth certificate requirement and the implementation of the strong advisory as concluded by the standing committee, as well as the issue of so-called swallows needing to return home in order to renew their visas after three months,” says Hanekom. Home Affairs Minister Malusi Gigaba says the introduction of an electronic visa application system will curb fraudulent permits from foreign nationals. Corruption at ports of entry leads to the facilitation of some undocumented foreign nationals entering the country. The department is dealing with corrupt officials on an on-going basis, the Minister says. The Minister said this when Ministers in the Peace and Security Cluster fielded oral questions at the National Council of Provinces. He was responding to Democratic Alliance (DA) Eastern Cape Member of Parliament Leon Magwebu, who had asked what the department was doing to address the weaknesses that lead to foreign nationals being in the country on fraudulent permits. “During the course of the year, we are going to introduce a number of initiatives. One of them is the electronic applications for visas and for a number of other permits to the country. “That will enable the applicant to obtain information electronically and submit their applications and the documentation to support their applications electronically,” he said. The Minister said the initiative would remove the need for the department to provide frontline services that tend to stretch government’s capacity. He said the initiative would also pave way for a centralised adjudication system to enable the department to take decisions quickly in terms of people’s applications. “But we further intend to introduce an amendment to the legislation which is going to enable the department to have an independent citizenship advisory board. “But this is only for those who are applying for citizenship once all other processes have been followed in terms of the latter of the law. So all of these initiatives are going to be introduced during the course of the year,” he said. Meanwhile, Minister Gigaba said several initiatives were being implemented to address border line enforcement and to deal with the number of undocumented foreign nationals. He said that the current model of cooperative border management contributes to a lack of effective and efficient border management. In future, the Minister said that the border management authority that will be established will improve border law enforcement based on a model of integrated border management and the establishment of a single line of command and the control structure in the border environment. In the transition period towards the establishment of the Border Management Authority, the department continues to work closely with all border management stakeholders on various matters such as the maintenance of border fences, increased security patrols at our border line, joint operations – especially over the festive periods – and strengthened bilateral agreements on border management and migration matters to enhance border cooperation. In addition to the new e-visa, the South African BRICS (Brazil, Russia, India, China and South Africa) Business Council says it is urgent to promote the facilitation of business visas for bona fide entrepreneurs, Eyewitness News reports. According to the council this will assist with trade and investment which are vital parts of the policy formulation and action for the BRICS countries – therefore it will urge BRICS nations to introduce a BRICS business travel card.